Remember when you were little and you collected pretty erasers and pencils? 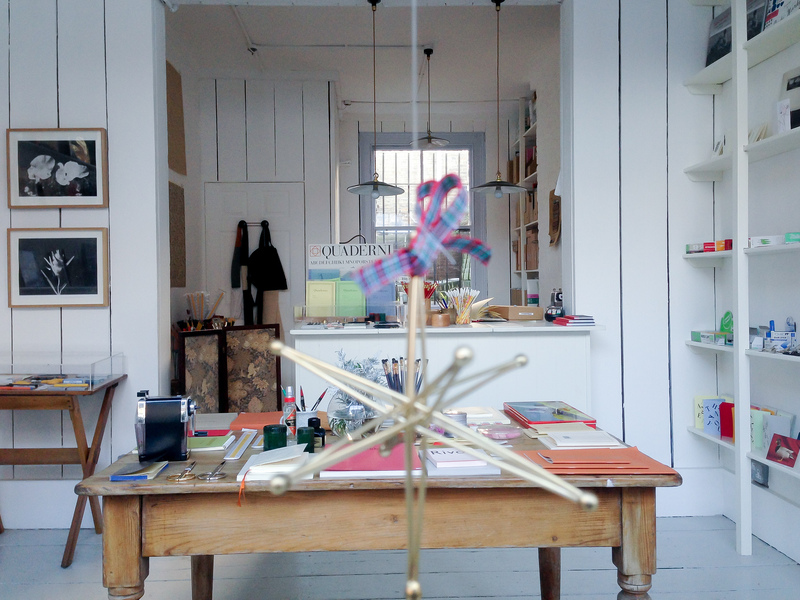 Well if you're longing to get back to a simpler time when writing wasn't done on an iPad, Choosing Keeping in London's Shoreditch stocks a worldly collection of beautiful stationery perfect for grown-ups. The best notepads, fountain pens, colorful tape, scissors, pencils, charcoal—and yes, erasers—have been collected from Italy, Japan, France, Germany, Sweden and of course the UK. Much of the merchandise at Choosing Keeping is hard to find elsewhere making it a joy to shop. If you're looking to find a gift for a budding creative type entering the workforce (or penning their first novel perhaps) this is exactly the place to score something special and inspiring. Despite the upscale feel of the shop prices are reasonable for most items, meaning you can really stock up on the things you love. Interior designers curating office spaces lust after these well crafted office supplies loving their retro look and character. What we love most about Choosing Keeping is the careful eye towards form AND function—in other words this stuff is made to be used.